The government had been notified of the find of human skeletal remains in the basement of Casa Lanfreducci in 2008, according to the Knights of Malta. 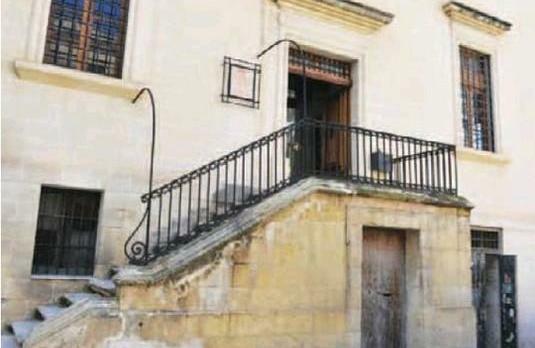 The basement of the Valletta house, previously known as Casa Cassar, is slated to serve as backstage facility for the open theatre to be built on the ruins of the Royal Opera House. 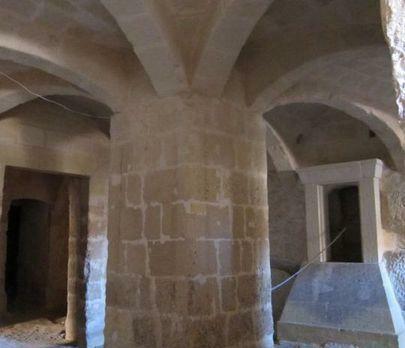 The government has come under heavy fire over the project from NGO Flimkien għal Ambjent Aħjar, which says the remains, found a few years ago, date back to the time of the Great Siege of 1565 and are proof the basement was an extension of the crypt of the adjacent church of Our Lady of Victory, Valletta’s first building. The Infrastructure Ministry had then charged that whoever found the remains had broken the law by not reporting them to the authorities, to the Superintendence of Cultural Heritage in particular. The Malta Association of the Sovereign Military Order of Malta said it was “deeply troubled” by this statement (see the association’s letter in the letters section). Letters seen by The Times show that, as early as 2008, the Chief Government Medical Officer, the Archbishop’s Curia and, later, the Resources Ministry were notified of the find, when the Knights sought permission to transfer the bones to the crypt. On August 8, 2008, healthcare director general Ray Busuttil wrote back granting permission, pending approval from the Curia and the police. The Office of The Prime Minister was also informed of the find by the Curia, which is partly responsible for the church, and, on October 15, Bishop Annetto Depasquale wrote to the rder saying the Archbishop found no objection in transferring the remains. 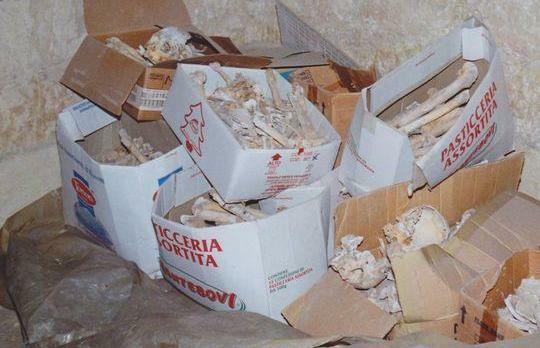 The project of moving the bones once they are preserved – which has not happened yet – was, however, shelved and then it was time for a change in the Malta association’s leadership. In 2009, the association also wrote to Chris Ciantar, permanent secretary at the Resources Ministry, who, on March 26, replied that the matter should have been referred to the superintendence. The latter, however, only came to know of the find last week, according to superintendent Anthony Pace. In hindsight, the Knights admit they should have contacted the superintendence immediately but they resent being seen as “cowboys” with no respect for the law. “Now we realise we should have contacted the superintendence and not these authorities but we were not trying to keep it hidden,” Daniel de Petri Testaferrata, chancellor of the association, said. Before falling in the hands of the Knights, the basement of Casa Cassar was previously used as a restaurant and a barber shop. The president of the Malta Association of the Sovereign Military Order of Malta, Philip Farrugia Randon recounts that when the knights went about their work on the basement after having finished the building of Casa Lanfreducci, which now houses the association’s headquarters, the place was in total disarray. Casa Lanfreducci was completed in the 1990s according to old plans and the place was in total ruins before the knights took over. The order also categorically denied it carried out any rock cutting in the area of the basement’s floor, a point the ministry had used as criticism. Asked who had put the remains in the pasticceria assortita (assorted pastries) boxes, Dr Farrugia Randon said he could not say exactly as this had happened before he became president but that the choice of container was regrettable. The basement is closed off as the Superintendence for Cultural Heritage is carrying out investigations on site.